The JUMBO™ CC-S ® is an ultra heavy duty version of the CC-S heavy duty elevator bucket, and part of 4B’s High Efficiency bucket range. It is intended for the most severe applications, including port terminals, ethanol plants and highly abrasive materials. It offers the greatest capacity and thickest front lip, corners and walls available. 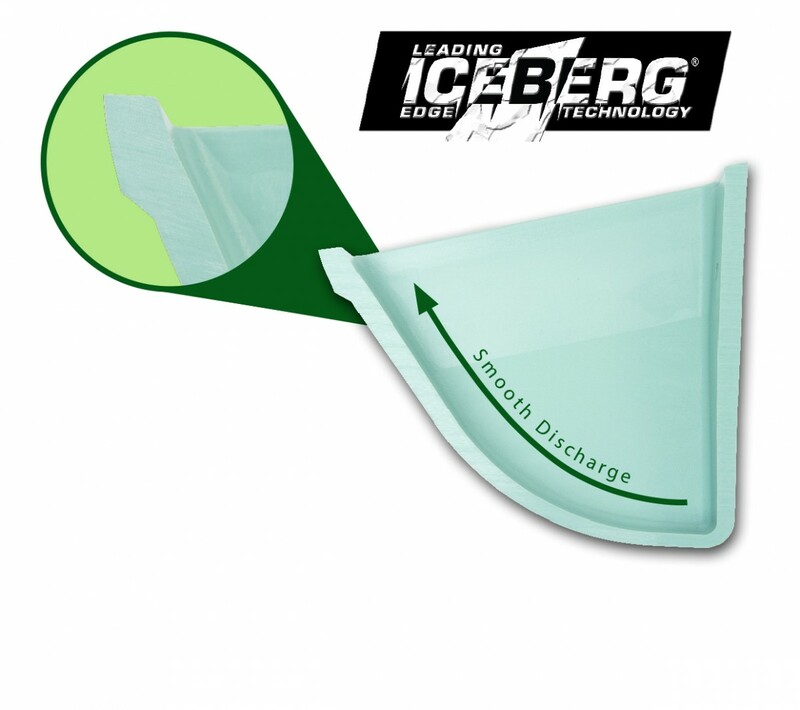 The unique Iceberg Edge front face delivers impact resistance and long life. It shares the proven geometry and design features of the CC-S, including the benefit of stackability, which saves on freight costs and storage space. The JUMBO™ CC-S ® is moulded from virgin HDPE (nylon and urethane also available) for ultra heavy duty strength and durability. Is the JUMBO CC-S interchangeable with the CC-S heavy duty bucket? 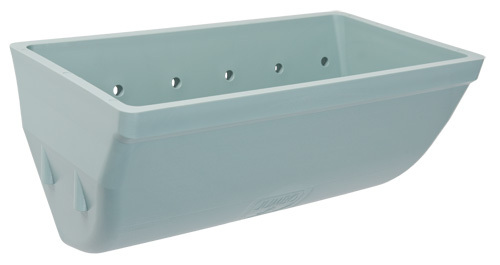 The JUMBO CC-S shares the same bolt hole patterns as the CC-S heavy duty bucket. Therefore, is it directly interchangeable with the CC-S as well as most other brands of elevator buckets. In some cases, due to its extra capacity and material weight, elevator belt PIW rating, pulley shaft diameters and motor HP may have to be upgraded. Check with the 4B engineering department if you are uncertain about your existing elevator leg's ability to accept the JUMBO CC-S.